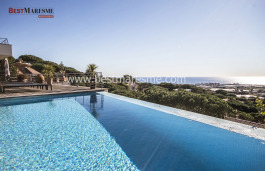 House for sale located in Sant Berger with splendid sea views and Barcelona. 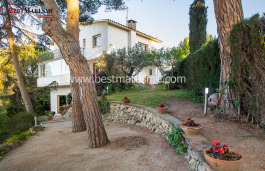 Built in 1999 on a plot of 511m2, the house is distributed over 3 floors. At the entrance, it surprises us with its wide spaces and brightness thanks to the double roof height and the large central skylight. 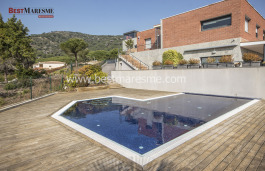 From sliding door at the entrance it gives way to the living room, designed in double level and with large windows that flows natural light throughout the house also with spectacular views over the sea and Barcelona. These views are main feature from any room. By the dining room we find the Kitchen with laundry room. From dining room and the kitchen you have a direct access to the garden and the summer dining room with a barbecue area. On this floor there is a guest bath. On the upper floor, the night area consists of 4 rooms. 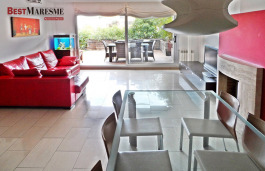 Two rooms share a bathroom and the suite, with bathroom and dressing room, has a terrace with fantastic views. The most important room of this floor is a glass room, next to the suite, equipped as an office. On the lower floor there is a garage for 2 cars and direct house access. A large multipurpose room with natural light, complete the house. 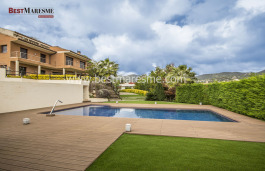 The garden that’s surrounds the house make a distinction in several areas. In front of dining room a fantastic area alows to construct a sunny pool. 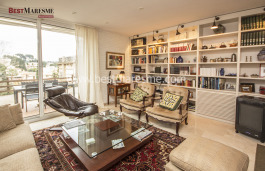 The house is located in one of the most luxurious residential area of Sant Berger -Teià which has surveillance 24 hours a day. Nearby Barcelona, Teià Tennis Club with Pitch&Putt. 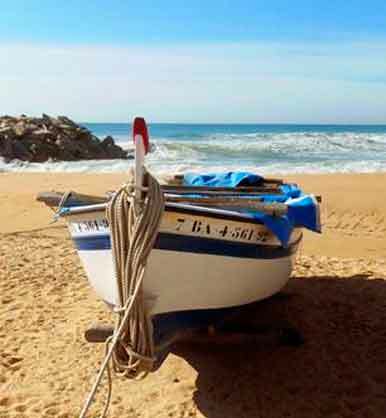 Teià is a village with all kind of services and has an excellent Barcelona connection by public and private transport.